Lions Bay might be a small town but its residential and commercial properties are high value. In fact, this region had the sixth highest rate of property value in British Columbia. This rate is due to location, size and most importantly, condition. Property owners want to keep their spaces looking great but it can be easy to forget roof maintenance. Luckily, our Lions Bay roof cleaning and moss removal service keeps eyes on your roof so you can keep your feet on the ground. For most property owners, regular roof maintenance goes over their heads. It might not seem like the most important part of your home but your roof is your first and greatest line of defence against the outdoor elements. It protects from rain, cold, wildlife and debris. That os why it is so important to take proper care of it! Roof clutter might not seem threatening from the outset but it can lead to serious damage to the structural integrity of your property. There is no way to prevent debris from failing onto the surface of your roof, particularly as seasons change. This debris accumulates and holds on to moisture. This moisture allows some types of organic material to rot and others to grow and spread. Moss and other types of invasive plants spread quickly and can take over a space without you ever realizing it! By making Lions Bay roof cleaning and moss removal a routine, you make sure that these problems never get out of hand. Instead of simply climbing a ladder and starting out, our Gorilla technicians approach your Lions Bay roof cleaning and moss removal with an expert combination of safety and strategy. The first step to any professional service is safety and that is why our Gorillas start out with assessment and proper safety equipment. 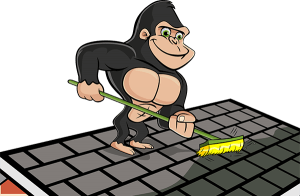 Once the proper stand-offs are in place, our Gorillas take to the skies, landing their feet on the surface of your roof and careful removing any debris that they find. Once the view is clear, any moss related issues can be addressed. If you are not sure what spreading moss looks like, just ask! 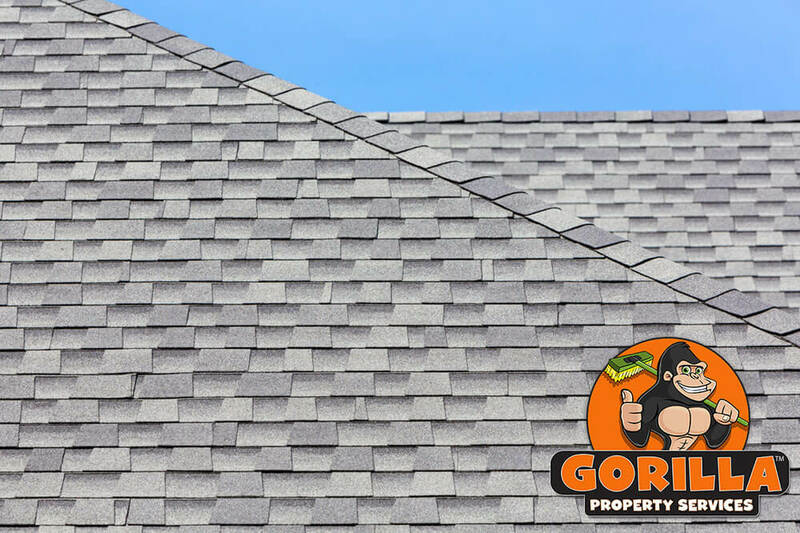 Gorilla technicians are outfitted with smart phones, so you can have eyes on your roof while your feet stay on the ground.